It seems that a Muslim prayer was recited – apparently in Arabic – at the start of the second day of the White House summit on “Countering Violent Extremism.” Sadly, the majority of the complaints about it were the circumstances around it, i.e., no other religion’s prayers were said, rather than the substance of the Muslim prayer. That’s both sad and woefully ignorant because that prayer was essentially a jihadi prayer. Oh, the imam of the Islamic Civil Society of America, Abdisalam Adam tried to play it off as otherwise when he translated and “explained” it to the press later. Those verses of the Quran mean ‘Whoever kills a soul unless for a soul or for corruption in the land, it’s as if he has slain mankind entirely, and whoever saves one life, it’s as if he has saved mankind entirely. Mosques serve as (sic) beacon of hope. While imams’ provide moral compass for the Muslim community in navigating life. But let first read the entirety of that particular Qur’anic verse to get a better understanding of what was meant by that prayer. Because of that We ordained for the Children of Israel that if anyone killed a person not in retaliation of murder, or (and) to spread mischief in the land – it would be as if he killed all mankind, and if anyone saved a life, it would be as if he saved the life of all mankind. And indeed, there came to them Our Messengers with clear proofs, evidences, and signs, even then after that many of them continued to exceed the limits (e.g. by doing oppression unjustly and exceeding beyond the limits set by Allah by committing the major sins) in the land!. It reads and means a bit differently when one sees the whole verse, doesn’t it? Know you not that to Allah (Alone) belongs the dominion of the heavens and the earth! He punishes whom He wills and He forgives whom He wills. And Allah is Able to do all things. It’s important to realize and understand that the fifth chapter of the Muslims’ Qur’an, Al-Mā’idah is one of the chapters that forms the basis for the Islamists’ jihad. Hence, this is an odd choice for a prayer to open the second day of what is titularly a summit to discuss and plan how to counter violent extremism. Of course it might make perfect sense given this summit is made up of Obama and a bunch of Muslims. Perhaps the “violent extremism” they want to counter is Israel’s desire to continue to exist or Hobby Lobby’s desire not to have to pay for their employees’ contraception and abortions. This entry was posted on Sunday, February 22nd, 2015 at 4:08 pm and is filed under Politics, Religion. You can leave a response, or trackback from your own site. 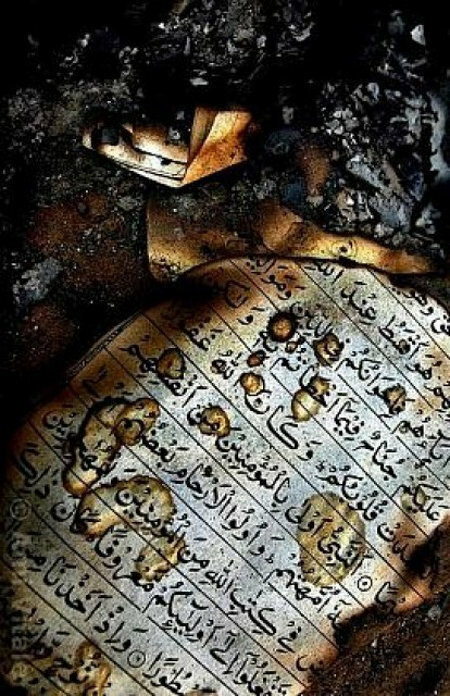 And to the worthless Dhimmis who will no doubt drag out the old canard of, “Where they burn books, at the end they also burn people,” I say, If there is any vestige of right-thinking left to Western Civilization, we have the hope that this is so and that we’ll burn the Muslims too. This entry was posted on Thursday, January 8th, 2015 at 8:40 am and is filed under Politics, Religion, Society. You can leave a response, or trackback from your own site.